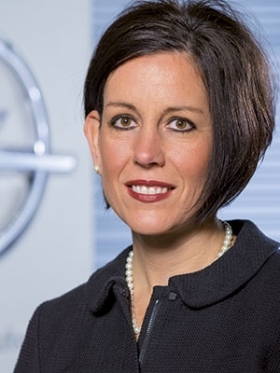 Katherine Worthen is Opel Group's vice president purchasing and supply chain Europe. Automotive News Europe salutes the 25 Leading Women in the European Automotive Industry. Every day through Sept. 29 one of the 25 winners will be featured. Today’s winner is Katherine Worthen of Opel Group. The 25 women were chosen from a record number of nominations. The winners will be honored on Sept. 29 in Paris. The prestigious Automotive News Europe 25 Leading Women in the European Automotive Industry awards are jointly presented with our exclusive sponsor, Deloitte.